Over the next few days, we’re going to feature some of the replies here on the blog. 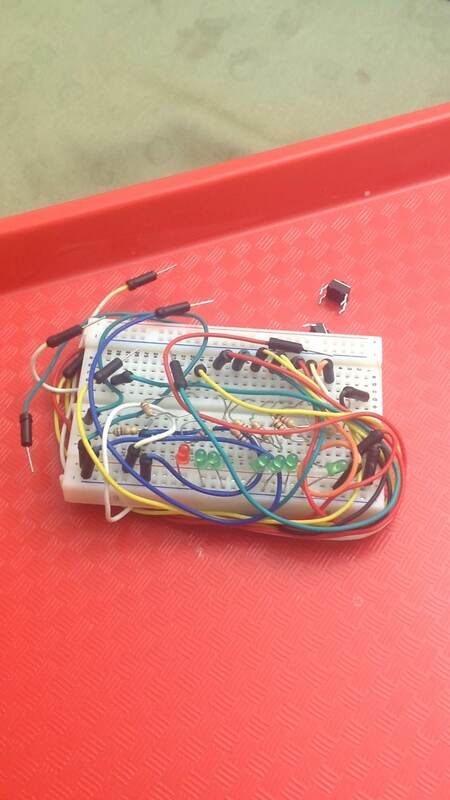 First up is Workshop 88 member Karl who shared a photo of his breadboard with an array of LEDs on it. His project is developing a countdown timer with a visual representation given by the LEDs. He pointed out the button which never seems to stay on the breadboard.